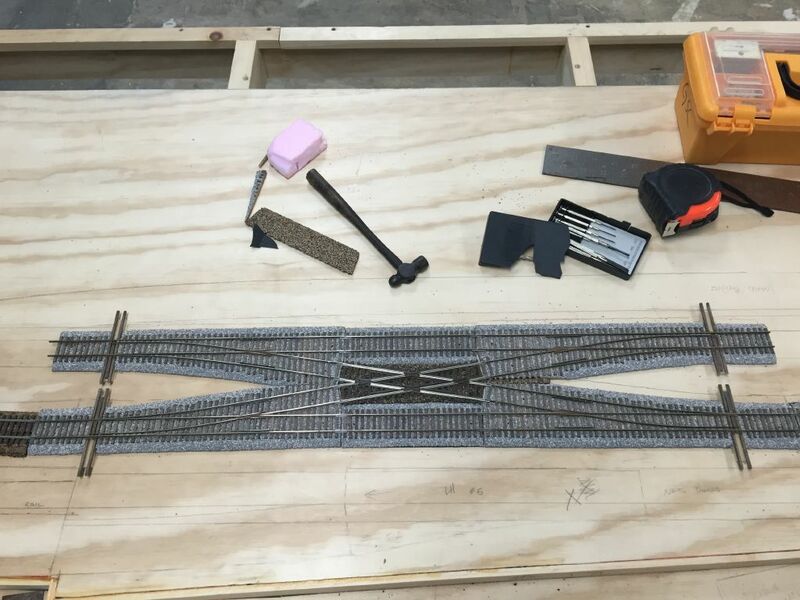 We started with the 'ugly' home made double cross over track that connects the east bound and west bound main lines. Its actually made up of 4 switches, a 19 degree crossing and two straight filler tracks. It earned the 'ugly' name because it was not the easiest 7 pieces of track to line up and install. I re-laid this cross over 4 times before I was happy with it.